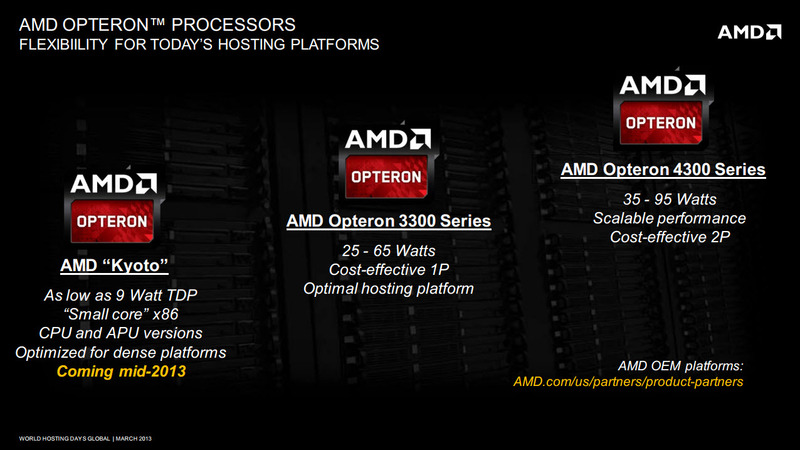 AMD is preparing a new class of server APUs for data center usage known as the AMD Kyoto. The AMD Kyoto would be the company’s first low power server class APUs which would go against Intel’s upcoming Centertron (S1200) and later Avoton chips. Earlier, HP had revealed that they would be fusing their upcoming Moonshot cartridges with Intel’s Centertron and Avoton chips although the latter would come at a high cost. However, Intel’s chips aren’t the only thing HP would be using in their upcoming servers. 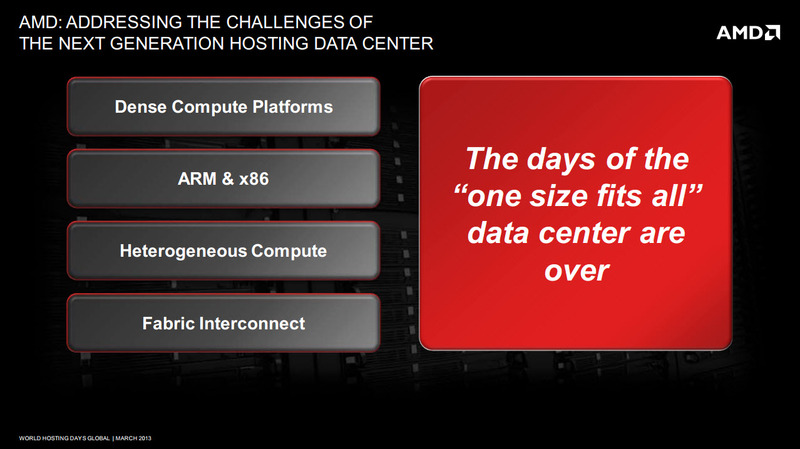 The company announced that they would also be using AMD’s Kyoto SOC’s in their moonshot servers for data centers which would prove really well due to their graphical horse power. An AMD document named “A Vision for Tomorrow’s Hosting Data Center” has been found thanks to CPU-World which details the upcoming Kyoto low wattage server chips. According to the details, the AMD Kyoto APUs come with TDP as low as 9W while basic models have 11W TDP. Additionally, the new chips are based on a “Small core” x86 architecture which is presumably AMD’s low power Kabini architecture featuring upto four Jaguar modules. The new server APUs would be optimized for dense server platforms and would be available in both basic CPUs and APUs models. The APU models would be featuring iGPU “HD 8000” to driver graphical needs. The new APUs are planned for launch in Mid 2013.